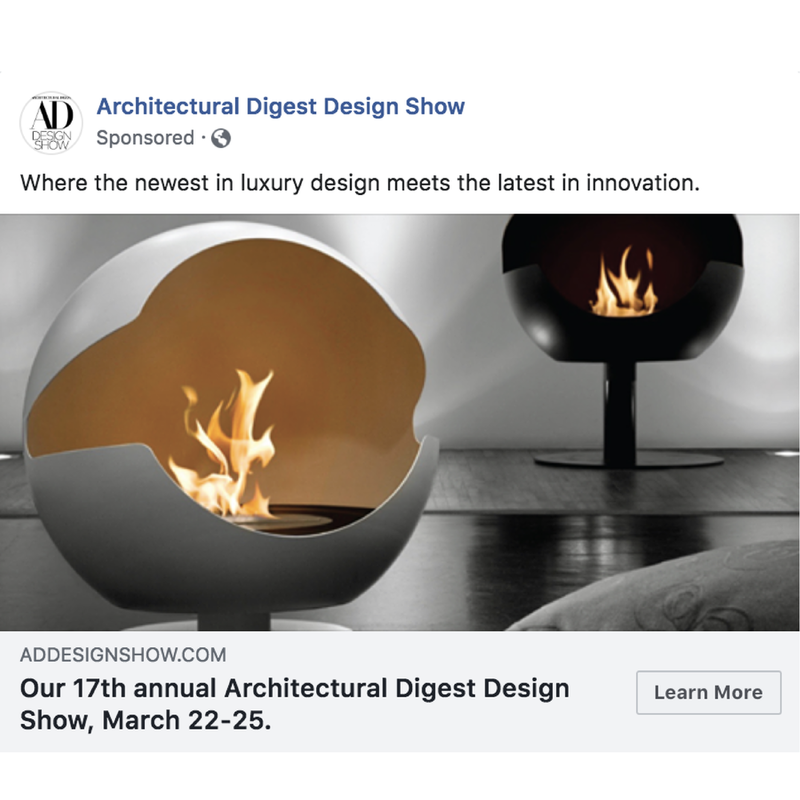 Using beautiful photography provided by the AD Design Show exhibitors and panelists, we created advertisements that increased the number of AD Design Show Facebook referrals (click-throughs) by +5K (2018). We also executed on-site social media event coverage that generated approximately 14.5M impressions with 100K engagements (2018), and delivered fun, chic social media content to support the advertising efforts. In light of these successes, the AD Design Show has increased its advertising and content budget so we can run more extensive programming in 2019.